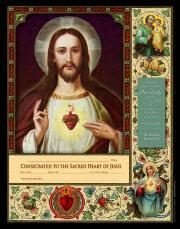 Encourage the family (or at least yourself), to consecrate themselves to the Sacred Heart and record it with this beautiful reproduction of the Sacred Heart. Also suitable for Enthroning the Home to the Sacred Heart. 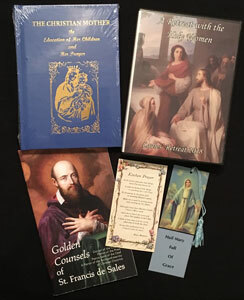 Has an area to record your official consecration to the Immaculate Heart of Mary as well. Printed on Quality, Acid Free Paper, this frameable 11" x 14" print will last for generations to come.